The increasing speed of changing consumer behaviours is undeniable. The rise of voice user interface (VUI) is one prominent trend that is causing brands to reconsider how they engage with consumers. Advancements in voice technology have caused a shift in the way brands communicate, seeing a transition from visual to audio mediums. Voice-based devices such as Amazon’s Alexa and Google Home have grown in popularity seeing a rise in the size of the smart-speaker market. Such products provide consumers with a helpful feature to perform daily tasks and further aid customers in their purchasing experience. This resulted in: “very high levels of customer engagement, including increased levels of voice shopping, growth in functionality, growth in the partners we work with and skills have increased rapidly,” – Amazon CFO Brian Olsavsky. The growth of voice communication has also impacted mobile search results. According to Comscore, “50% of all searches will be voice searches by 2020”. 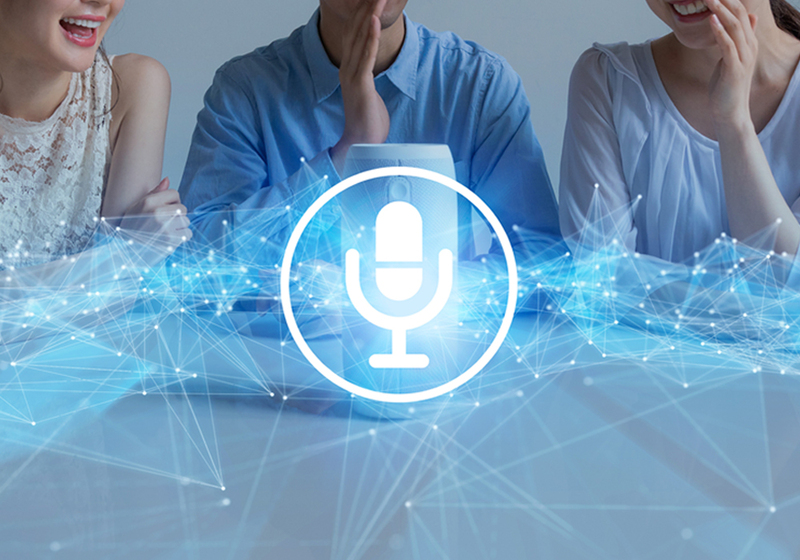 The increasing use of voice search is likely to greatly impact brands using SEO as an integral part of their marketing strategy. Brands going forward will have to consider how they respond to consumers’ questions via both text-search and voice search. Optimising your brand’s results for voice search will mean considering the way we talk and how to directly respond to consumers’ questions. We can also expect this emerging trend to influence shopping habits. Companies such as Walmart and Google have partnered to enable voice-based shopping through Google Assistant. This will enable customers’ shopping experience to be completed just through speaking into their device. Brands are using this as an alternative way to create conversation and further engage with potential customers. Pizza chain, Domino’s is utilising voice technology on their app to allow consumers to order food deliveries through an integrated voice system. In addition, Moët Hennessy USA, the importer and marketer of luxury wines have introduced the “Bottles and Bubbles” skill which aims to help consumers become champagne connoisseurs. By saying: “Alexa, open Bottles and Bubbles” consumers can engage with conversational and educational content. Tone of voice is essential when using voice-interface for your brand. Brands are able to create a unique voice and personality to connect emotionally with online shoppers and improve customer relationships. Integrating a voice strategy into your business will allow you to provide consumers with an instant and seamless shopping experience.